The NCE delivers the technologies, solutions and services customers need to expertly manage their networks. 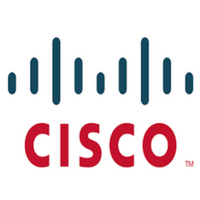 In this role, you will be "Cisco''s face to the customer," working in a fast-paced, high-impact environment as a visible contributor delivering on our commitments. The ideal candidate is a creative problem solver, comfortable with challenging the status quo and rapidly responding to escalated issues. With a seasoned mix of broad networking knowledge and specific area expertise, as well as excellent Customer Relationship Management (CRM) skills, you''re well positioned to become a trusted advisor capable of building solid, long-term relationships with customers. Responsible for development, support, maintenance and implementation of Advanced Services lab. Provides support to senior NCE''s on reproducing customer lab environments. Minimal design and analysis work. Performs related technical support functions on problem resolution in support of a major account. Conformance to service delivery Advanced Services standards. BS/CS or equivalent plus 0-2 years related technical experience. Knowledgeable in one or more of: IP Internetworking, IBM internetworking, LAN switching, ATM, WAN Expertise Voice technologies. Internetworking Troubleshooting experience, protocol diagnosis and decoding to the packet level. Ability to leverage technical expertise of others. Knowledge of network design concepts. Knowledge of network management, network availability capacity planning. Knowledge of software development and design concepts is desirable.